As the Commissioner of the Massachusetts Rehabilitation Commission for thirty years, Elmer C. Bartels became a national leader on issues related to vocational rehabilitation and independent living for people with disabilities. While studying physics at Colby College in 1960, Bartels broke his neck in an inter-fraternity hockey game, but returned to complete his degree and then to earn an MS at Tufts. While working as a computer programmer at the Laboratory for Nuclear Science at MIT and later at Honeywell, he became involved in coordinating services and access that members of the community needed to survive. To address the range of issues relating to employment, housing, and architectural barriers for people with disabilities, he helped found three significant organizations: the Massachusetts Association of Paraplegiacs (1964), the Massachusetts Council of Organizations of the Handicapped (a cross-disability organization created in the late 1960s with Harold Remmes) and the Boston Center for Independent Living (1972). Bartels was a key figure in securing passage of the Rehabilitation Act of 1973, considered the first civil-rights statute for persons with disabilities. In 1977, Bartels was appointed to the Massachusetts Rehabilitation Commission by Gov. Michael Dukakis, serving under seven successive administrations, leaving an important mark on public policy. Since leaving the MRC, Bartels has remained active as a teacher and advocate for disability issues. The Bartels Papers are an important resource for study of the early history of disability advocacy and public policy in Massachusetts. The collection includes a wealth of material on the formation and activity of the Massachusetts Association of Paraplegiacs, the National Paraplegia Foundation, and the Mass Rehabilitation Commission; correspondence with other leading figures in the disability rights movement; and publications relating to legislation on disability issues, vocational rehabilitation, and independent living. People with disabilities--Civil rightsPeople with disabilities--Legal status, laws, etc. Backpage of Madness Network News, Spring 1978, Vol. 4: No. 6. Photo by Kelso Walker. The attorney Tom Behrendt has worked for years in the cause of civil rights for people with mental disabilities. A past president and long-time member of the Board of Directors of the National Association for Rights Protection and Advocacy, Behrendt served previously as Legal Director of the Connecticut Legal Rights Project and he was a founding member of the Special Litigation and Appeals Unit of the Mental Hygiene Legal Service in New York. Behrendt’s involvements have included work with organizations such as Project Release, the Free Association, Advocacy Unlimited, and PAIMI (Protection and Advocacy for Individuals with Mental Illness). The collection consists of a wide array of publications and documents relating the psychiatric survivors movement and Behrendt’s advocacy work. In addition to materials relating to NARPA conferences and a long run of NARPA’s newsletter, The Rights Tenet, the collection includes newsletters and other materials relating to the movement and issues such as electroconvulsive therapy. The Belchertown State School Friends Association was established in 1954 to promote improved conditions at Belchertown State School and better treatment of “retarded” or “mentally challenged” citizens in Massachusetts more generally. The School was formally opened in 1922 as an institution to train children with developmental disabilities and prepare them for integration into society. By the 1960s, conditions at the school had deteriorated to a degree detrimental to the residents, precipitating a string of lawsuits, beginning with Ricci v. Greenblatt in 1972, eventually leading to closure of the facility in 1992. The bulk of the School’s Friends Association collection consists of records of court appearances, briefs, the consent decree, and related materials, along with reports and correspondence relating to Massachusetts v. Russell W. Daniels, Ricci v. Greenblatt (later Ricci v. Okin), and other cases. Accompanying the legal files are clippings and photocopied newspaper articles; speeches; newsletters; draft of agreements; and scrapbooks. The Massachusetts State Archives has a small amount of records related to Belchertown State School. They are housed under the Health and Human Services division in the archives. A pioneer in the psychiatric survivors’ movement, Judi Chamberlin spent four decades as an activist for the civil rights of mental patients. After several voluntary hospitalizations for depression as a young woman, Chamberlin was involuntarily committed for the only time in 1971, having been diagnosed with schizophrenia. Her experiences in the mental health system galvanized her to take action on patients’ rights, and after attending a meeting of the newly formed Mental Patients’ Liberation Project in New York, she helped found the Mental Patients’ Liberation Front in Cambridge, Mass. Explicitly modeled on civil rights organizations of the time, she became a tireless advocate for the patient’s perspective and for choice in treatment. Her book, On Our Own: Patient Controlled Alternatives to the Mental Health System (1978), is considered a key text in the intellectual development of the movement. Working internationally, she became an important figure in several other organizations, including the Center for Psychiatric Rehabilition at Boston University, the Ruby Rogers Advocacy Center, the National Disability Rights Network, and the National Empowerment Center. 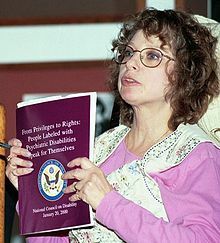 In recognition of her advocacy, she was awarded the Distinguished Service Award by the President’s Committee on Employment of People with Disabilities in 1992, the David J. Vail National Advocacy Award, and the 1995 Pike Prize, which honors those who have given outstanding service to people with disabilities. Chamberlin died of pulmonary disease at home in Arlington, Mass., in January 2010. An important record of the development of the psychiatric survivors’ movement from its earliest days, the Chamberlin Papers include rich correspondence between Chamberlin, fellow activists, survivors, and medical professionals; records of her work with the MPLF and other rights organizations, conferences and meetings, and her efforts to build the movement internationally. 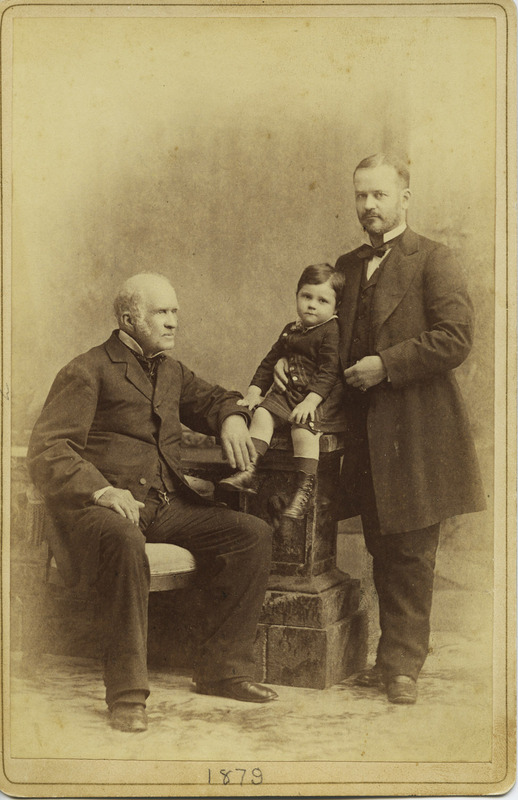 With a $50,000 grant from the philanthropist John Clarke, Gardiner Green Hubbard founded the Clarke Institution for Deaf Mutes in 1867, a school predicated on the importance of acquiring oral skills for children with hearing loss. Opened in Northampton, Mass., under the direction of Harriet B. Rogers, Clarke differed philosophically from schools such as the American School for the Deaf where sign language was used for instruction, stressing speech-reading and speech as the primary methods of communication. With notable supporters such as Alexander Graham Bell, Clarence W. Barron, and Calvin Coolidge and his wife Grace (a former teacher), the school became a pioneer in training teachers in auditory and oral methods and in recognizing the importance of early intervention and mainstreaming children into neighborhood schools. Working in partnership with Smith College, Clarke began offering a master’s degree in Education of the Deaf in 1962. Known as the Clarke Schools for Hearing and Speech since 2010, the school has opened additional campuses in Boston (1995), Jacksonville (1996), New York (1999), and Philadelphia (2001). The records of the Clarke School offer rich documentation of the history of oral deaf education in the United States and insight into the experience of deafness in America. The collection includes extensive correspondence of school administrators and teachers, organizational materials, records of the school’s programs, and an essentially complete run of the school’s annual reports and other publications. Restrictions: Student records, medical records, and genealogical and genetic records generated by the research staff at the school are restricted for 75 years from the date of creation. Massachusetts State Senator for the Berkshire District, 1950-1958, and representative for Massachusetts’s First District in the United States Congress for 17 terms, 1959-1991, where he made significant contributions in the areas of health and human services, the environment, education, energy, transportation, and small business. Spanning four decades and eight presidents, the papers offer an extraordinary perspective on the major social, economic, and cultural changes experienced by the American people. Includes correspondence, speeches, press releases, bill files, his voting record, committee files, scrapbooks, travel files, audio-visual materials and over 5,000 photographs and slides. Since the early 1970s, George Ebert has been a significant national figure in the anti-psychiatry and psychiatric survivors’ movements. Radicalized by three periods of involuntary incarceration, Ebert founded the Mental Patients Liberation Alliance in 1978 as a self-help, mutual support, human rights, and advocacy organization, and he has spoken out consistently against all forms of coercive psychiatry, including electroconvulsive therapy and forced drugging. While serving as director of the Mental Patients Alliance of Central New York, Ebert has also been active in Activists for Alternatives and the Network Against Coercive Psychiatry. 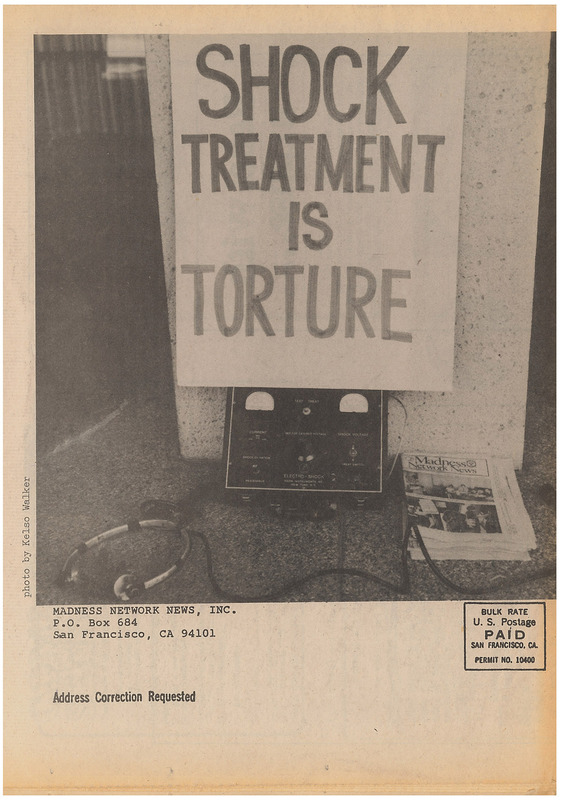 A significant collection for study of the psychiatric survivors’ movement, Ebert’s papers contain a wealth of correspondence from activists throughout the United States and abroad, along with notable runs of newsletters and periodicals from many early ex-patient groups that are now defunct, photographs of demonstrations, and organizational materials relating to the Mental Patients Liberation Alliance. 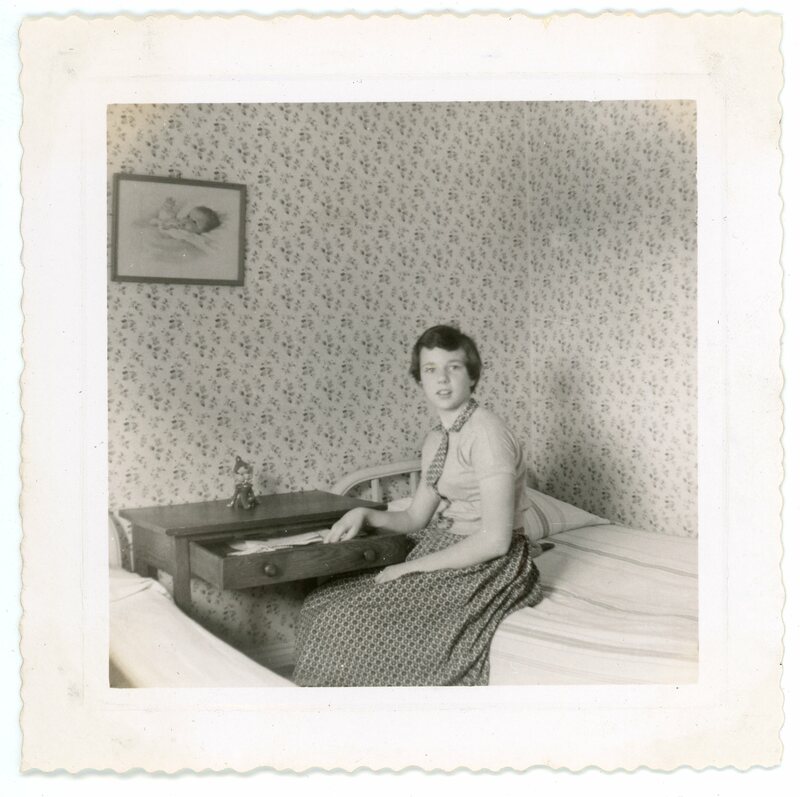 Born in Indiana, the writer Lucy Gwin (1943-2014) lived “a lot of lives,” in her own words, working in advertising, as a dairy farmer, civil rights activist, and deckhand on ships servicing oil rigs, all before the age of 40. While living in Rochester, N.Y., in 1989, however, her life took a sudden turn. After a head-on collision with a drunk driver left her with traumatic brain injury, Gwin was remanded for care to the New Medico Brain Rehabilitation Center, where she witnessed a world of isolation, patient abuse, and powerlessness. Never one to shrink from a challenge, she escaped from the Center and used her skills as an organizer and writer to expose conditions at New Medico and shut the facility down. Through her experiences, Gwin emerged as a powerful, often acerbic voice in all-disability rights advocacy, becoming the founder, designer, and editor of the influential Mouth Magazine in 1990. Lucy Gwin’s papers document the advocacy of an important figure in the disability rights movement. The rich documentation for Mouth Magazine includes comprehensive editorial files arranged issue by issue, some correspondence with authors and supporters, and copies of the published issue. The balance of the collection contains Gwin’s other work as a writer, personal correspondence, and materials relating to her experiences with and campaign against New Medico.